Professor Chunghun Lim in the School of Life Sciences at UNIST has been named for 2017 SUHF Young Investigator award. Photo Credit: Suh Kyungbae Foundation. Professor Chunghun Lim in the School of Life Sciences at UNIST, recognized by Suh Kyungbae Foundation. 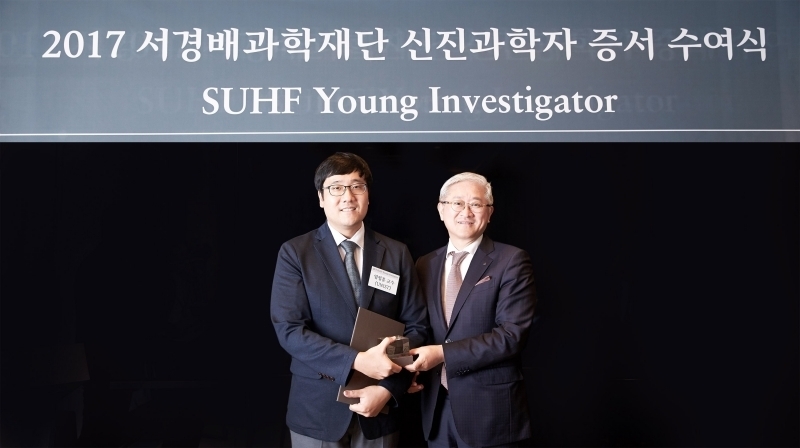 Professor Chunghun Lim in the School of Life Sciences at UNIST has distinguished himself as the recipient of the 2017 SUHF Young Investigator award by Suh Kyungbae Foundation. Established in 2016, the Suh Kyungbae Science Foundation selects three to five Korean scientists through an open recruiting process and grant a maximum of 2.5 billion KRW over a period of up to five years. The primary purpose of this foundation is to serve as a platform from which to nurture and provide comprehensive long-term support for creative and passionate young Korean scientists committed to pursuing research in the life sciences. Professor Lim has received this honor in recognition of his passion and committment to scholarly research. During his Ph.D. in Biological Sciences program at KAIST, he was involved in the study of viruses. After finishing his Ph.D. in virology, he started working on the study of neural and genetic bases of sleep behaviors and sleep-relevant physiology using Drosophila. Professor Chunghun Lim discusses his research on new principles of genetic decryption. “My current research project involves the study of protein, which involves the translation of genes into proteins,” says Professor Lim. The research theme chosen by the foundation is “New principles of genetic decryption”. Through this project, Professor Lim and his research team will be working on the the study of the fundamental working principle of nonstandard protein translation. The Suh Kyungbae Science Foundation is a non-profit organization, funded by a personal donation of KRW 300 billion in shares from Amorepacific Chairman and CEO Kyung-bae Suh. This foundation aims to help young, creative researchers in basic science and promote the field of bioscience in a bid to pave the way for furthering the advancement of humanity. This year, the foundation has selected five young scientists for the first time. 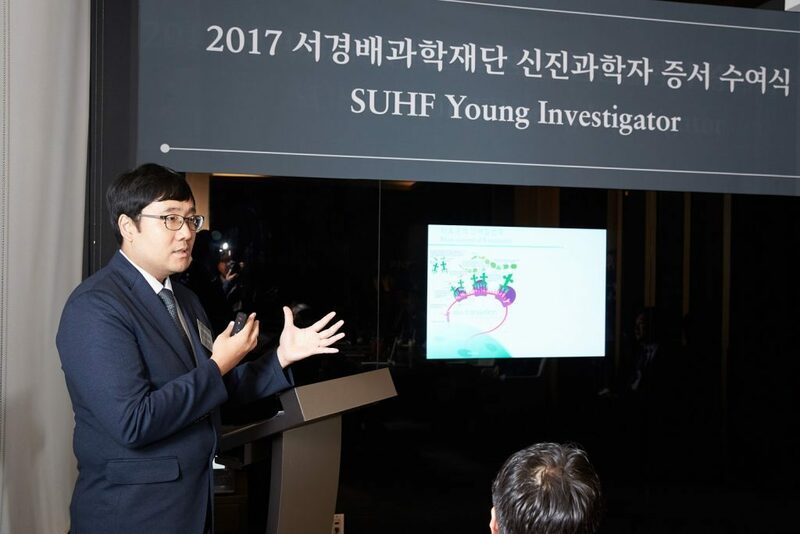 The recipients of 2017 SUHF Young Investor recognition include Professor Chunghun Lim in the School of Life Sciences at UNIST, Professor ChanHee Kang in the Department of Life Sciences at Seoul National University, Professor DoHoon Kim at the University of Massachusetts Medical School, JungHo Lee in the KAIST Graduate School of Medicine, and GyuHa Choi in the Department of Life Sciences at POSTECH.